Get All ADVANTAGE Features for 50% Less Now! 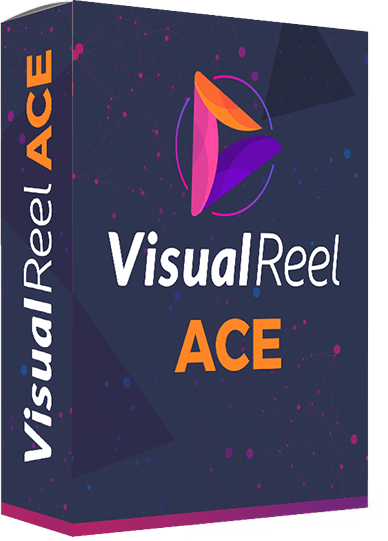 VisualReel Ace has all the features of Advantage except Ready-made Agency Website with PayPal checkout and Virtual Assistant Account Feature. There is no limit on how many times you can use VisualReel, how many cinemagraphs you can create every day and on how from how many computers. With VisualReel Advantage, you can create UNLIMITED number of cinemagraphs, without any limitation at all. 100% control over every single thing. No catches! Once you upgrade to VisualReel Advantage today, you will have the ability to use VisualReel to create as many new cinemagraphs as you like, every single day, without having to worry about limited license keys or lame restrictions that other similar tools put on you. Want to create 1,000 cinemagraphs today? Sure, go ahead. With Advantage version you have no restrictions! The software version that you already possess, gives you the capability to create up to 500 cinemagraphs per week, and you know you’ll run out of that in no time at all. Get the Advantage and you can create unlimited cinemagraphs with a push of button PLUS also publish them, all on autopilot. 500 Memes a week is great but how about create unlimited memes every single day and have the ability to automatically publish them on your and your clients accounts? With the VisualReel Advantage you get the ability to create and publish unlimited number of memes every single day, no catches. We move you to a powerful new server giving you more power to generate viral like, shares and comments from your memes. Your clients are going to want you to post them more than anything else. That’s exactly why we give you the ability to create and publish unlimited number of Quote-pics on autopilot. You can create as many quote-pics as you like and share them on unlimited social media accounts. With VisualReel Advantage, we’ll make sure you don’t get stuck with any lame account limitations or suspensions. With the Advantage upgrade today, you’ll be able to use your VisualReel account to post your visual content, memes, cinemagraphs, quote-pics, images and videos as many times as you want, on as many accounts as you want, for as many clients as you want. Do you have 10 Facebook and Twitter accounts? Want to publish your memes, quote-pics and cinemagraphs to your clients YouTube or Vimeo or Facebook other sharing sites account? No problem. 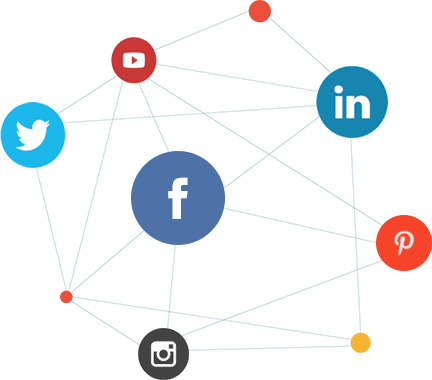 With VisualReel Advantage you can connect and add unlimited number of social media accounts where you can publish and upload unlimited number of memes, images, videos, quotes-pics and cinemagraphs. 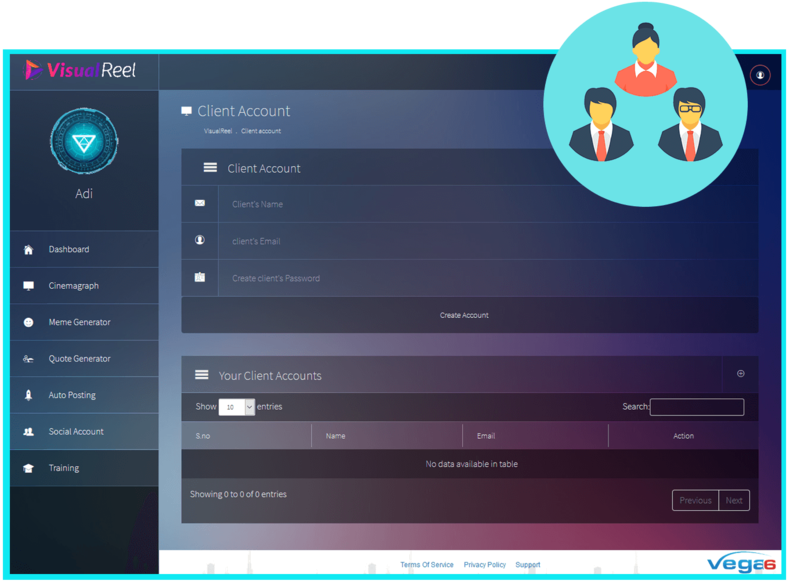 Simple click a button and add a new personal or clients instantly. 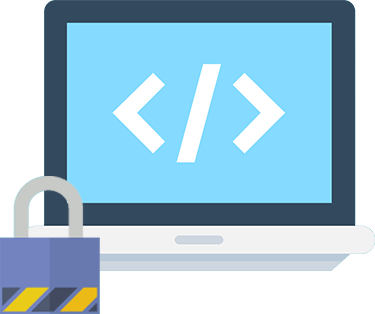 VisualReel Advantage comes with developer and outsourcers license. That meansyou can recruit clients and charge to publish and get more views and traffic to their videos for their businesses and let your employee/team member do all the work. There’s no limit to the number of memes, cinemagraphs, images, videos or quote-pics you can create, share and syndicate, no limitation on how you recruit clients, and absolutely no cap on how much you can charge. Go crazy! You will recoup 5x, maybe 10x, and maybe 30x, what you invest in VisualReel Pro in one sale! PLUS we are also throwing in “Outsourcers license” where you can give VisualReel access to your VA and let them do all the work for you. 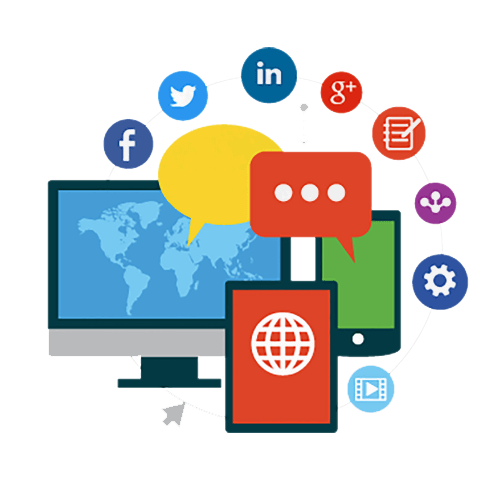 Right now, social media dominates any marketing strategies out there that you can think of online. 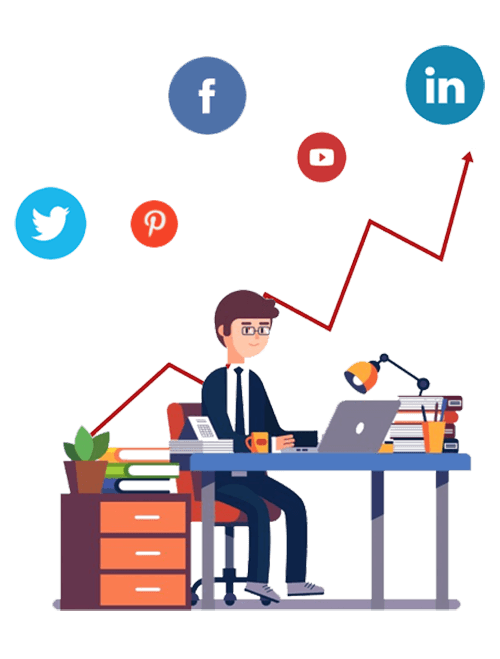 The good news is that inside the SocialMedia Mastery training you get access to a bundle of social media marketing strategies on the major social media platforms including; YouTube, LinkedIn, Pinterest, Instagram and Facebook.